The teaser of Tamil film, Bogan, starring Arvind Swamy and Jayam Ravi, is all set to be released on 4 November. The film, produced by actor-turned-director Prabhu Deva, marks the second collaboration between Arvind and Jayam after their 2015 blockbuster, Thani Oruvan. 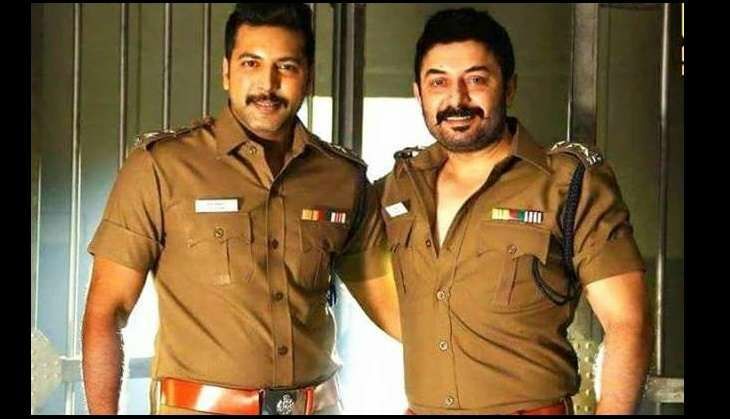 Bogan will see Arvind Swamy play the role of a royal scion in Tamil Nadu, while Jayam will reprise his role of a police officer - like his role in Thani Oruvan. Jayam Ravi took to his Twitter page to confirm the teaser release date of Bogan. Directed by Lakshman of Romeo Juliet fame, Bogan also stars Hansika Motwani and Akshara Gowda. The music of the film has been composed by D Immam and the album is expected to be unveiled soon. Bogan is slated to to hit the screens worldwide on 23 December to coincide with the coveted Christmas slot at the Box Office.